El Chapo – the infamous Mexican drug lord who broke out of prison – is to blame for traffic snarl-ups in New York City. According to the New York Times, the massive security required to get him to and from court requires shutting down the Brooklyn Bridge. The consequences of moving El Chapo has been ruinous for commuters. The cartel leader was extradited to the US in January 2017, facing serious drug and murder crimes. New York City’s famous Brooklyn Bridge has occasionally been closed down entirely in recent years, infuriating commuters. According to a new report, the frustrating closures are due to the legal and security requirements of Mexican drug-kingpin El Chapo. El Chapo is currently imprisoned in Manhattan while he awaits trial. But the courthouse is in Brooklyn, meaning an enormous security operation every time he has to move between the two, according to The New York Times. The US Marshals Service has been transporting him across the river to attend court, which means closing the entire bridge. The Times said this happens “every few months or so,” which suggests there have been around five shutdowns since his earliest appearances in early 2017. El Chapo, whose real name is Joaquín Guzmán, was extradited to New York on January 19, 2017 and locked up in the Metropolitan Correctional Center, a high-security facility next to NYPD HQ and City Hall. 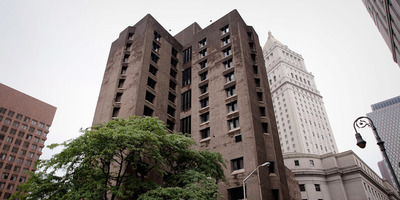 GettyMetropolitan Correctional Center, June 9, 2009 in New York City. He’s also currently under lock and key for 23 hours a day – with only his legal team for company. Guzman ran a global cocaine, heroin and methamphetamine operation, playing a central role in a decade-long Mexican drug war where more than 100,000 people died, the Independent reported. Getty ImagesMexico’s Attorney General Arely Gomez shows a picture of Mexican drug kingpin Joaquin ‘El Chapo’ Guzman during a press conference held at the Secretaria de Gobernacion in Mexico City, on July 13, 2015. On Tuesday, US Judge Cogan ruled that El Chapo will stand trial at Brooklyn Federal Court, despite the traffic headache. His court date is set for November 5, 2018, with jury selection happening on September 10. The Times said this could prompt twice-daily bridge closures most days for as long as four consecutive months, timed to coincide with the morning and evening rush hours. According to The Times, Judge Brian M. Cogan has been considering the problem and believes he has a solution, but has not yet shared it. 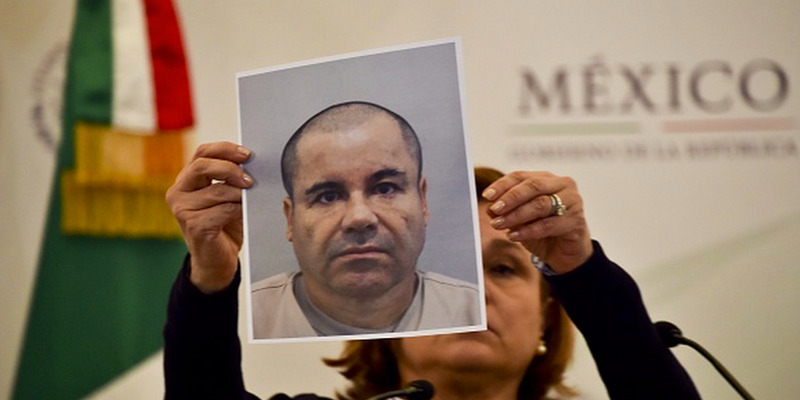 One possibility is that El Chapo could be held at the courthouse and only occasionally return to Manhattan. The bridge itself may also become part of the case too – as El Chapo’s lawyers claim shutting the bridge in such a over-the-top and public way, draws attention to the cartel leader and could prejudice jurors against him.